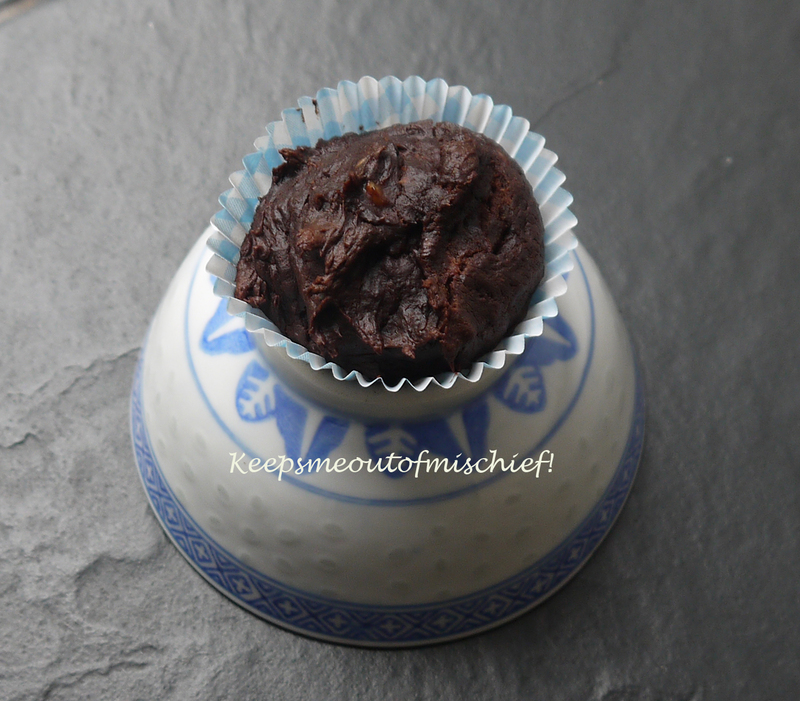 Banana, Chocolate and Peanut Butter Muffins | Keeps Me Out Of Mischief! We’ve recently started to get a fruit and veg box delivered to our house again. We used to have this but I found that I wasn’t using everything up so felt really guilty about throwing out unused produce. I’m on a bit of a health kick now and have started to see fruit and veg as my friend rather than some kind of deadly enemy! These muffins were made to use up a couple of sad looking bananas – yes I know it would have been healthier to have eaten just the banana, but I’m not a banana person (unless they’re combined with chocolate and peanut butter!). 360g ripe bananas, 190g peanut butter, 50ml maple syrup, 70g cocoa powder and 50g self raising flour. Preheat the oven to 200ºC and line a small muffin tray with paper cases. Mash the banana in a large bowl then add the rest of the ingredients. You will have quite a solid mixture. It’s ok, it will turn out ok! Place the mixture in paper cases, it won’t really rise, so fill them fairly full. Place in the oven for 15 minutes. They’re best enjoyed on the day you make them. Yep, not intentionally so, but it is!